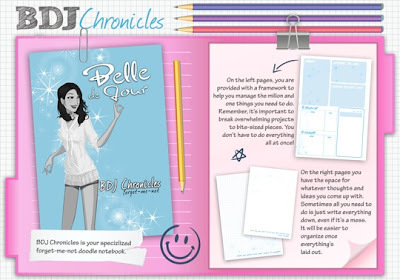 We are just bursting with excitement to let you know that the latest edition of Belle de Jour Power Planner is OUT NOW, ready for online order through www.belledejourpowerplanner.com and available through all branches of Fully Booked and Powerbooks, select branches of National Bookstore and all Schu schops nationwide. 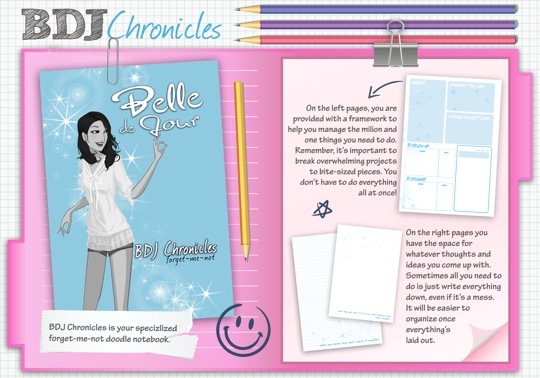 If you want to know more about Belle de Jour 2011, feel free to visit our website (www.belledejourpowerplanner.com) or join us on facebook (www.facebook.com/BelledeJourPlanner). We mark our 5th year by giving you three reasons to get your own BDJ Planner! BDJ is now available in 2 kinds of binding! This year, we give you the option to choose the binding you prefer. One is smythe-sewn perfect, which is like a hardbound book, and the other is the special double-wire binding that has been one of our trademarks in the past years. We also imported special paper (textured paper for the book-bound, and a plastic-paper blend for the double-wire bound) for the cover. Whether book-bound or spiral-bound, both kinds are build to last, and both come with more than 60 lifestyle coupons, insightful monthly articles, and beautifully designed calendar pages to document each day in the year ahead. Every purchase of BDJ comes with the BDJ Lifestyle Card! The BDJ Lifestyle Card lets you gain access to our exclusive BDJ events and is inclusive of recurring discounts (in addition to the discount coupons) from our lifestyle brand partners. The BDJ Lifestyle Card may be claimed through us; upon registration at the BDJ website, we ship it for FREE! 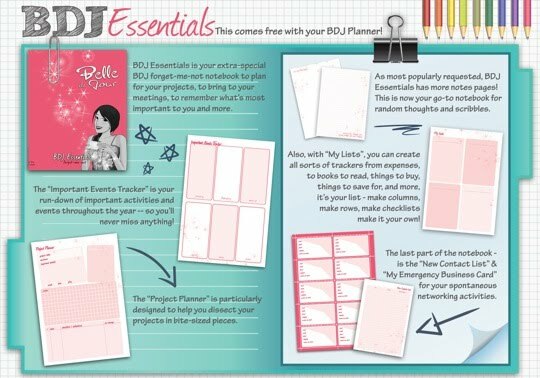 Every purchase of BDJ comes with a BDJ Essentials Forget-Me-Not Notebook! If you need more space to track your special events, write down your contacts, plan your projects, make your lists, or even create emergency business cards in case you run out of them, this is for you! The Forget-Me-Not notebook is designed to be inserted in the front or back pockets of your BDJ Planner and comes free with every purchase. What's more, we created three other varieties that you can purchase separately: BDJ Chronicles (blue), a simple notebook that will organize your thoughts and errands; BDJ Basics (green), a monthly planner for quick reference when planning your social life; and BDJ Favorites (purple), to keep track of birthdays and gifts to the people most special to you. BDJ is sold online and through retail at the SRP of P598. All website orders will get 5% early bird discount and free delivery within the Philippines.